High gas prices are getting more Americans out of their cars, and some are even plotting a new course to work. That could mean jumping on public transit, or hopping on a bicycle. 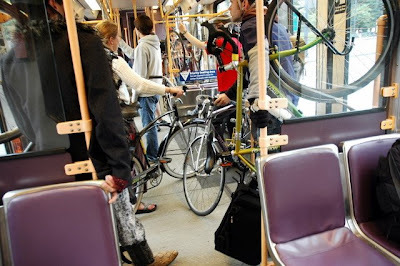 In Portland many commuters are combining those two options. It's a Tuesday morning, and the MAX Blue line train from Beaverton to Gresham is packed. In fact ridership on TriMet has jumped more than 10 percent over a year ago. Colin Maher: "This is where we have our highest ridership, on these crowded rush hour trains." That's Colin Maher. He's the Bike Programs Planner for TriMet. Maher says the relationship between high gas prices and record ridership is obvious...Maher says right now four percent of MAX users bring a bike, but that number is rising steadily. Colin Maher: "There's no way...we could pack more bikes on here." This is an encouraging article. No, not because multimodal bicycle commuters are having trouble finding space on transit systems (an encouraging problem to have). But because journalists are starting to deal more substantially with the issues confronting bicycle commuters. Much of the news coverage this year has been about the novelty of bicycle commuting--"Local Man Rides Bike to Work." 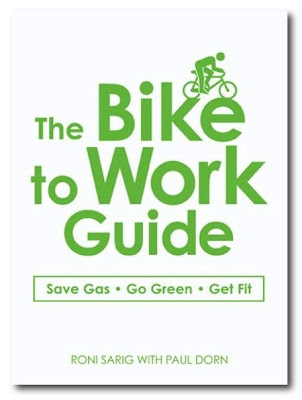 In recent weeks, we've seen more articles about specific issues confronting bike commuters: challenges finding bike parking at workplaces; the issue of dressing for work; reducing bicycling injuries; selecting a suitable bike for commuting; improving safety of existing bicycling infrastructure (such as bike lanes or sharrows); and other topics. Problems don't get addressed until attention is raised about them. There are many existing street and community conditions that challenge wide-spread bicycle commuting. It's gratifying to see the media begin to pay attention. What bicycle commuting issues would you like to see journalists expose? It hasn't gotten as bad as trying to park a car in Seattle. There's no need to ride around in circles for blocks finding someplace to lock up a bicycle. But as gas prices skyrocket and more people get from here to there on bikes, Chris Cameron is among the bicyclists who say it's gotten harder to find an open bike rack. You've seen the result--bicycles locked onto racks four deep. "You have to get a little creative," said Cameron, bike commuting program director for the Cascade Bicycle Club. Secure parking for your bicycle is a critical need for bike commuters. The lack of secure parking is often a key obstacle for prospective bike commuters, who can't bring their bicycles into their workplace and are concerned about theft. Employers could do more to encourage bike commuting by converting spaces in their parking lots to accommodate bicycles--12 bikes could fit into the space occupied by one car. Many communities are recognizing the value of bike lanes and other street safety enhancements. Bike lanes can be cheap to create--often just a stripe of paint--and provide a high visibility facility offering potential ribbon cutting photo ops for publicity seeking politicians. Bike racks are often the neglected component of cycling infrastructure. They can be capital intensive, perhaps $200 or more per rack not including installation. They often require permission from property owners, and may arouse the animosity of advocates for pedestrians and disabled people by encroaching on sidewalk space. Street parking spaces could be converted to bike parking, but this conversion often provokes opposition by retailers. The shortage of bicycle parking is increasing, as many communities such as Seattle convert individual parking meters into validated "pay & display" spaces using an central automated station. At a time when more people are using bicycles for transportation, it's critical that government agencies develop more secure bicycle parking, including staffed central bike station facilities. How's your city doing with bike parking? Interesting look at bicycling in the U.S., ranging from recreational riding in California, to bike education and commuting in Massachusetts, to the history of bicycling in the country, to urban planning efforts for bicycling. Clearly the media is paying more attention to bicycles. This is a very cursory overview by CBS, but far more comprehensive as a weekend news magazine story than standard TV news reports. Mike Schatz figured it was the right thing to do. Horrified by his first $70 trip to the gas station, Schatz drove to a bike shop last month, plunked down $2,500 on a new touring bicycle and began two-wheel commuting from his Grant Park home to his office in West Midtown. The pluses included conservation and fitness as well as frugality--until the morning he went airborne above traffic on West Marietta Street. Hit by a car, he broke both elbows. Afterward he asked himself, "This is what I get for trying to save the environment?" Granted, Atlanta is not a bicycling friendly city, ranked by Bicycling Magazine as one of the three worst in the U.S. However, Atlanta is not alone as a city with residents eager to escape the clutches of the gas pump pirates. Many of these fossil fuel refugees are flooding into bike shops and emerging as novice bike commuters. So it's appropriate to post on bicycling safety. The following is a very brief, very basic summary from the safety chapter of my new bicycle commuting book, to be published in November by Adams Media. Be assertive. Timid riding invites abuse. You have a right to the road. Claim it. Define your space. Don’t be bullied. Bicycling is safe. Sedentary couch potato lifestyles kill far, far more Americans than pedaling. What other suggestions do you offer new bicycle commuters? What to wear when bicycle commuting? When the weather is good, Terry Plowman can get from home to his downtown Pittsburgh job in about 45 minutes. Not by car or bus, but by bicycle. And after a quick change from his biking gear to business casual, Plowman is ready for another day of work at Verizon. There are signs that more Americans are commuting to work on bikes, a trend fueled by environmental concerns and the rising cost of gasoline. "It's unbelievable to me the change that has gone on over the past two or three years," said Brad Quartuccio, editor of Urban Velo, a Pittsburgh-based cycling magazine. Whether rolling along trails, designated lanes or crowded streets, for bike commuters heading to work there's the question of how to dress. Most people who bike to work don't do so every day because of weather or schedules. But when they do, it takes planning because there's usually a need to groom and change clothes when arriving at work. 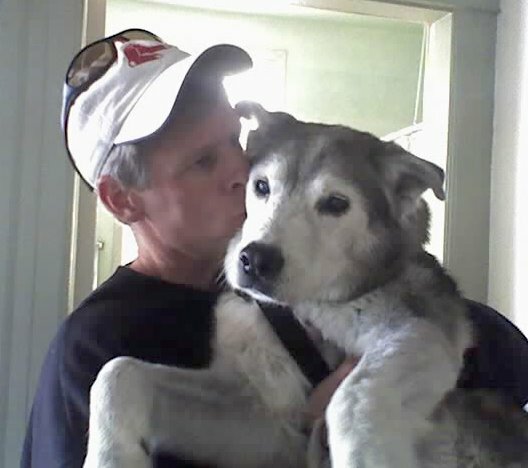 Plowman, 54, takes a change of clothes with him each day. Others, like John Burgess at Pittsburgh Theological Seminary, keep a mini-wardrobe at the office to avoid added weight on the bike. In nearly five years of biking to campus, the professor has discovered that it's best not to wear your work trousers on the 15-minute trip. "You'll get grease on your pants, even when you're being careful," he said. "And on a hot day, you get sweaty." Helpful article from Pennsylvania, about the techniques bicycle commuters use to meet their office apparel needs. 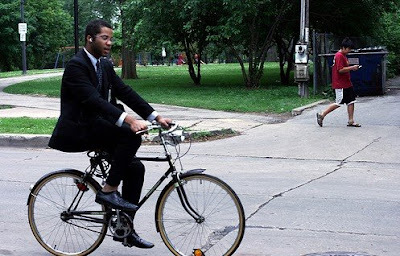 Many bicycle commuters who must dress for business employ a variety of means. One standard approach is carrying office clothing carefully rolled in panniers or in a bicycling garment bag; perhaps with an iron at the office for quick touch-ups. Other bike commuters leave all office apparel at work, using a nearby dry cleaner as necessary. And some drive to the office on certain days, with a week's worth of clothing, and bicycle commute the other days. And a lucky few are able to make the commute in their suit or dress. Any other suggestions for handling the office dress code as a bicycle commuter? MARINE CORPS RECRUIT DEPOT SAN DIEGO--Record high fuel prices have depot personnel turning to alternative forms of transportation. The use of public transportation, bicycles, and carpools are on the rise. The rising price of fuel has led some people to drive less frequently. Many San Diegans have recently bought bicycles as an alternative to driving. "There is a 20-to-30 percent increase in bike sales lately because of the rise in gas prices," said Mo Karimi, owner of San Diego Bike Shop. 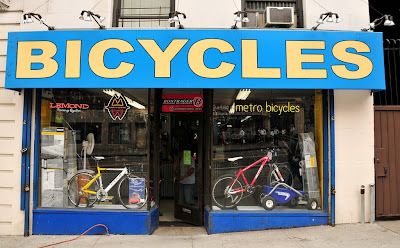 "Sometimes we are out of stock on bikes and bike parts because the demand is so high locally and nationwide." For better or worse--in my view, the latter--the American military is a major employer of both civilians and service members. 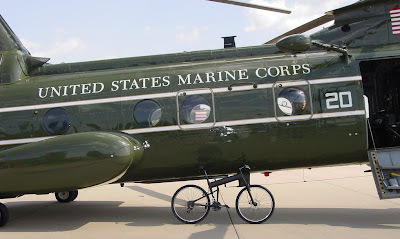 It will be a great thing if the military became a model employer of alternative transportation, especially bicycles. Most military facilities are not easily accessibly by transit; this article comes from San Diego, where the climate and existing infrastructure makes it easier to bicycle. Are you presently serving in the military or a civilian employee? Are the conditions at your base or facility favorable for bike commuting? What's your experience? On July 15, 2007 Paris debuted the world's largest self-service "bicycle transit system" called Vélib outdoing previously designed bike share programs. Vélib is a balance of scale and functionality, clocking in with more than 20,000 bikes, and 1,451 docking stations, which are never more than 1,000 feet apart. As a result, Vélib is effectively a new form of public transportation that has generated more than 25 million new bicycle trips in its first year, 10% of which substitute former car trips. Yet despite the problems, fashion-conscious Parisians have decided Vélib is cool, and fits into their lifestyles. "Everyone has seen for themselves that you can ride in a suit or high-heels without being obliged to wear Lycra shorts," one bike enthusiast told Le Monde...Describing Vélib' as a "form of utopia', Libération newspaper said that the presence of thousands of slow-moving, stately bikes has also had a soothing effect on Paris' frenetic pace. "At the speed of a bicycle, an idea is gaining ground: one of a less arrogant and more human city," it said. The hordes of Paris Vélib users also seems to be pushing the city to further enhance its already significant network of bikeways. The article also indicates Vélib stations are gaining a reputation as "propitious for flirting." "In the space of one year the vélib' has become a Parisian institution, giving the streets and boulevards of the French capital a vague air of Amsterdam or Cambridge." Agence France Presse reports that 94 percent of Parisians approve of Paris Vélib, and that judicial authorities have approved the program's expansion to neighboring communities. The New York Times also suggests that Paris Velib is prompting supportive bicycling policies, quoting one authority: "Bicycles become fashionable, and the more bikes there are in a city, the safer it is, and the more the city will give space to bicyclists." Many bicycle advocates around the world have been paying attention to the Paris Vélib experience, and its success is inspiring similar programs in other cities. The first American city to launch a similar bike-sharing program is Washington DC, where delayed launch of SmartBike is set for August. 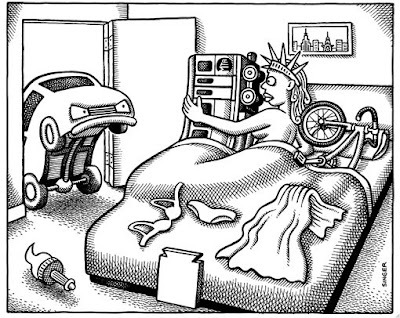 Could America really be ending its love affair with the car? Earlier on this blog, I wondered if rapidly escalating gas prices might indicate a "tipping point", where the U.S. begins moving to more sustainable transportation, such as bicycling, transit, and walking. Most bicyclists, myself included, doubt that rising fuel costs alone will do the trick. We will continue to need proactive advocacy for bicycling; at a minimum the recent energy "crisis" has given us an opportunity to gain more media awareness for bikes. It is known as the Inland Empire: a vast stretch of land tucked in the high desert valleys east of Los Angeles. Once home to fruit trees and Indians, it is now a concrete sprawl of jammed freeways, endless suburbs and shopping malls. But here, in the heartland of the four-wheel drive, a revolution is under way. What was once unthinkable is becoming a shocking reality: America’s all-consuming love affair with the car is fading. Gasoline was less than $2 a gallon when Mike McKeever brought his gospel of bikes, light rail and tightly packed neighborhoods to this state synonymous with cars, freeways and suburban sprawl. "The development industry was very concerned," says Mr. McKeever, head of Sacramento's regional planning agency. It won't happen overnight, but a brighter future for bicycle commuting seems probable. In this era of increasing prices at the pump, bad air quality and general belt-tightening, more people in the Bay Area are opting to commute to work via heart-healthy biking or walking. But the financial and physical benefits aside, that kind of commuting has the potential to wreak havoc on one's professional image--even considering the casual-attire aesthetic that dominates many offices. 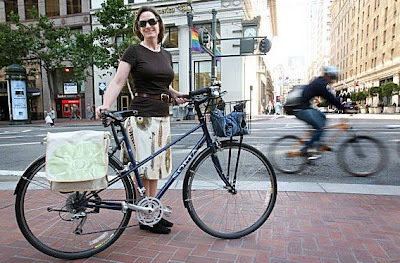 Graduate student Lisa Foster refuses to let the peddling keep her from wearing her pumps, as she wrote in an issue of the San Francisco Bike Coalition's Tube Times. "I really think bikes are made for people who wear heels," she said. "You don't have to walk in them. It's so much better." New bike riders can benefit from the fashion-forward lessons learned by long-time cyclists, many of whom have perfected the little fashion tricks and tips that can ease the transition from congested city streets to cubicle. Cheryl Brinkman...lives in the lower Haight and commutes 2 miles to her job as a product manager at McKesson Corp., in the Financial District. About her wardrobe, Brinkman said, "I've altered it for the better and only one thing that I don't wear now that I bike so much is long full skirts." On the days she rides her bike, Brinkman tucks her skirt into a band of elastic that she wraps around one thigh, a homemade garter belt solution, as it were. And, she said, "I always have a small binder clip in my handbag, as well, to keep wrap skirts or dresses closed while pedaling." Great article from San Francisco, with helpful advice for those prospective bike commuters who are concerned about the "dressing-for-the-office" challenge. The article features my friend Cheryl Brinkman, part of the creative team at the Less Car, More Life blog. Carlos Martinez bicycles to work in Manhattan from his home in Jackson Heights, Queens...But when Mr. Martinez gets to his office on East Fourth Street, where he works as the Latin American liaison for an environmental group called Green Map System, he becomes the envy of riders across the city. That is because the office building allows him to bring his bike upstairs and stash it in a walk-in closet alongside bikes belonging to three or four co-workers. It may seem like a simple sentiment, but having a safe place to store a bike at work is an urban amenity that ranks somewhere with having unfettered roof access or a key to a community garden. 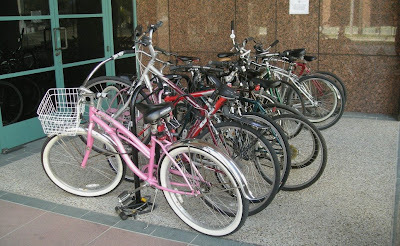 While people are generally free to wheel their bikes in and out of residential buildings, commercial buildings often ban them. At a time when, city officials say, the number of people cycling in New York is soaring and the city has been implementing a plan to create 200 miles of new bike lanes, one glaring problem for those who want to cycle to work is the shortage of parking, particularly in areas like Midtown Manhattan. A great article in today's Times, highlighting a critical challenge preventing New York City from becoming a true bicycling capital: lack of secure bicycle parking. The article finds bicycle commuters begging for space in offices, shops or parking garages: scheming to keep their bikes safe outdoors (including use of the heavy Kryptonite New York Fahgettaboudit lock); or finding a friendly courier service to store the bike. Bike lanes and paths are often more politically attractive, because they are visible and provide media-friendly "ribbon cutting" opportunities for attention seeking politicians. But bike parking is equally critical to creating a bike-friendly urban environment. Efforts are underway in NYC to require commercial office buildings to provide space. Surprisingly in a city infamously thick with bike thieves, transit and high-rise office buildings, no mention is made in the article about creation of a Bikestation-type facility, similar to San Francisco's Warm Planet Bikes.